The Horticultural Art Society of Colorado Springs has created three gardens in Monument Valley Park on the edge of the Colorado College campus. Two xeriscape gardens in Colorado Springs show off the possibilities of gardening with little to no added water. 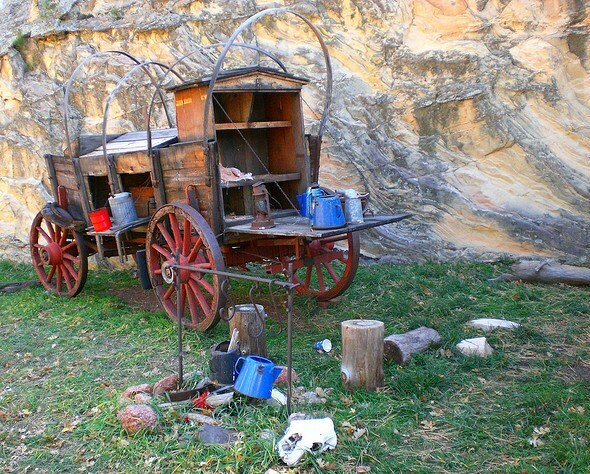 The Flying W Ranch was destroyed by the Waldo Canyon wildfire on June 26, 2012, but the owners plan to rebuild it. The Theiophytalia was named after the Garden of the Gods, where the dinosaur skull was first discovered in 1878. Confirmation of the find, however, did not come until 2006. 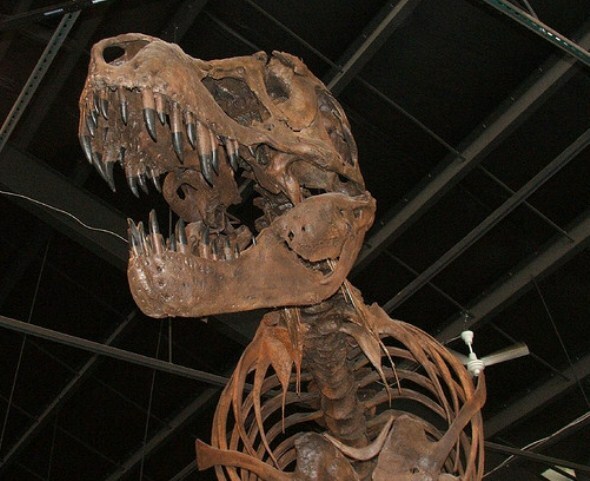 The Rocky Mountain Dinosaur Resource Center features fossils from dinosaurs, marine reptiles, pterosaurs and carnivorous fish from the Cretaceous period about 100 million years ago. 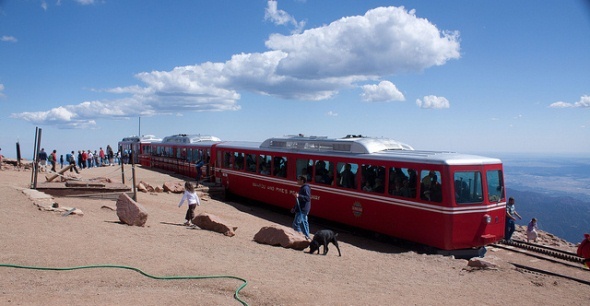 Staff writer The century-old Pikes Peak Cog Railway offers an easy ride to the peak’s 14,115-foot summit, climbing 7,539 feet in nine miles. 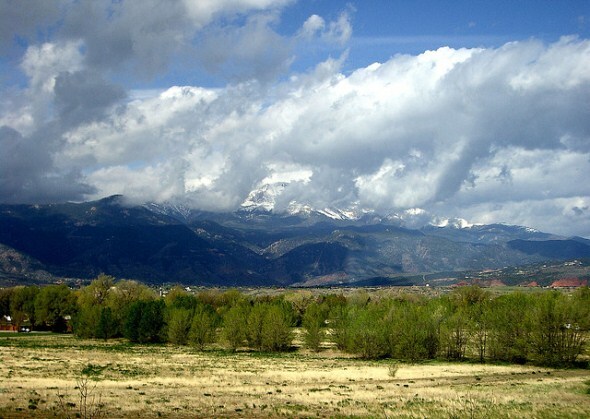 Visitors can drive to the top on a toll road, but they have a much better view of the scenery from the train, passing through high plains to alpine tundra. 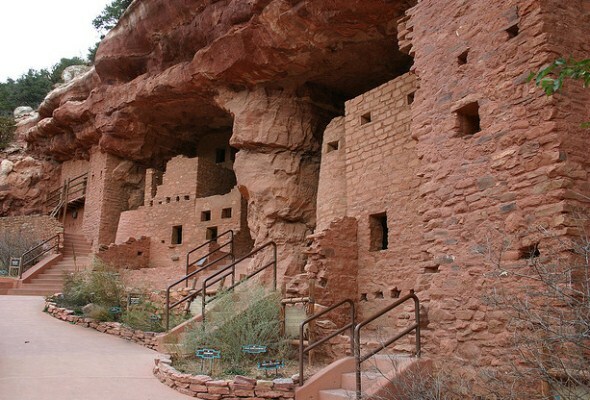 They often encounter bighorn sheep grazing high above the city, or smaller animals such as yellow-bellied marmots….